Thank you to those who wrote in with the following updates including: Tara and Mickledore Travel, Nicola Copeman. p95 Burnsall. The Green B&B has closed as the owners have retired. p99 Map 9 Grassington. 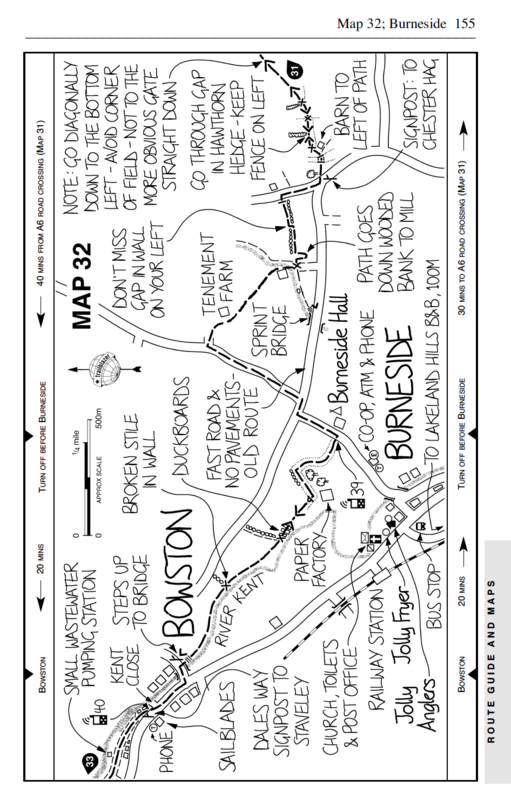 A walker said she found the route a bit tricky to follow just after Grassington so check the route carefully here. p114 Buckden. The Buck Inn has closed and is currently on the market. One walker recommended West Winds Tearooms with Walker's Lodge, www.westwindsinyorkshire.co.uk, where they were treated with complimentary tea and cake on arrival and the owner kindly offered to drive them to the nearby pub, The George Hotel & Brasserie, for an evening meal. p121, Map 16, Oughtershaw. Nethergill Field Centre, Buckden nr Skipton BD23 5JS. Recommended by walkers who found it very interesting. "We called in for a cuppa and a bit of shelter, and spent an informative tea break reading all about the wildlife, flours and fauna. Well worth calling in." www.nethergill.co.uk Tel: 01756 761126 - 07854602060.
p132, Map 20, Blea Moor. One walker reported it was hard to find the route on Blea Moor but the general direction was easy to follow. p135, Map 22, around Laithbank. One walker got a bit confused and ended up descending to the road too early. p136, Map 23. One walker said she would strongly recommend a detour into Dent; "a delightful place with masses of character".